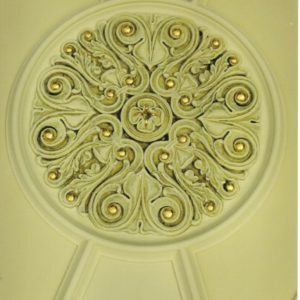 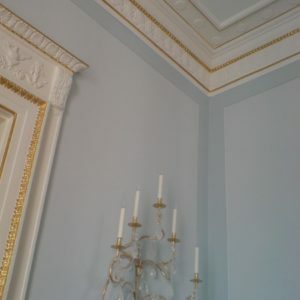 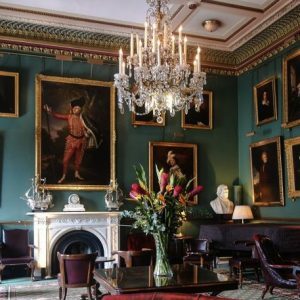 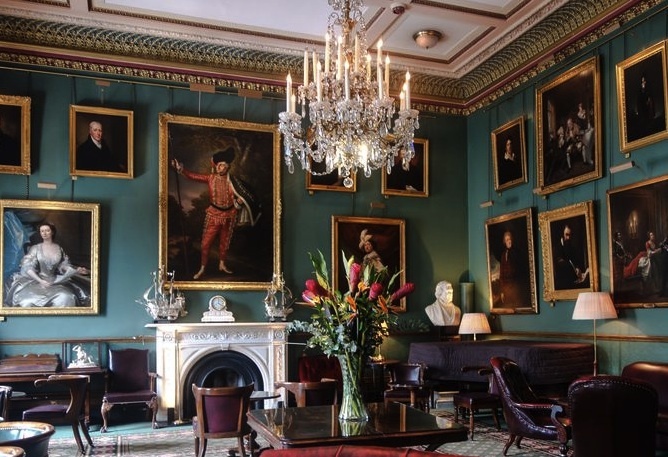 Nicola Thwaites Specialist Decorating, London UK, offers painted finishes for interior architectural ornament, including decorative plaster, friezes, cornices, ceiling roses, pediments, pilasters and columns. 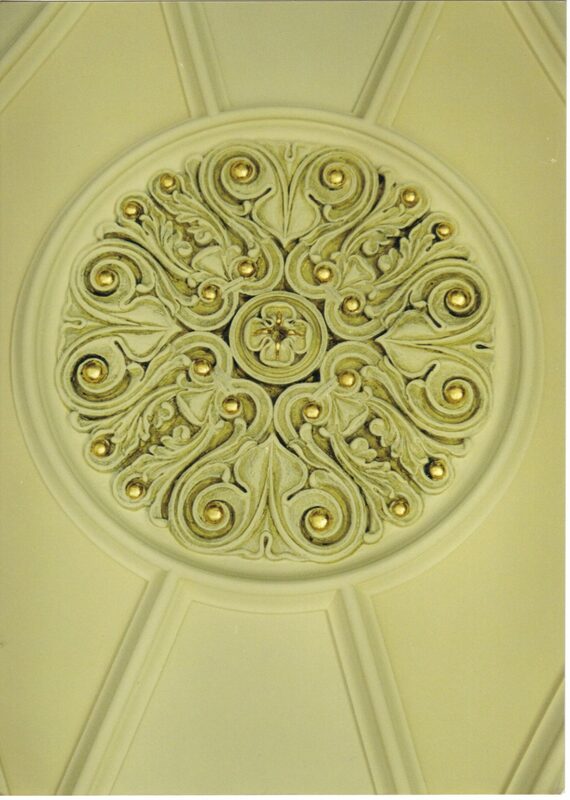 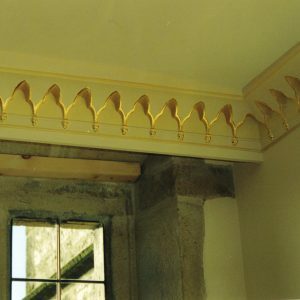 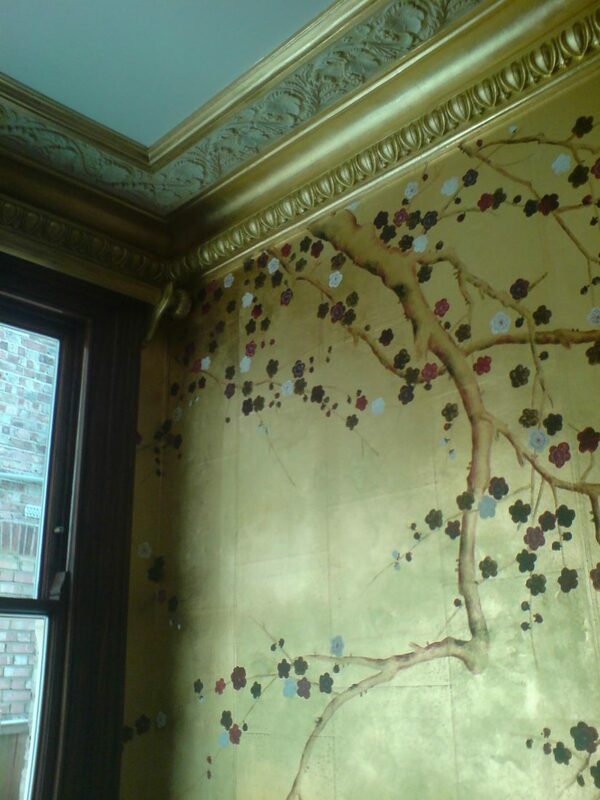 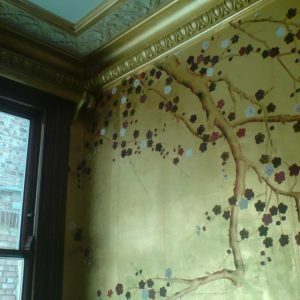 Traditional decorative techniques like stipple and wipe, gilding, and hand painting can help restore decorative plasterwork. 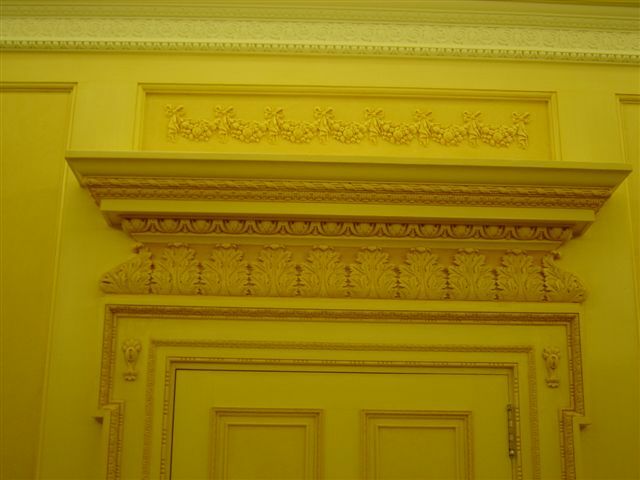 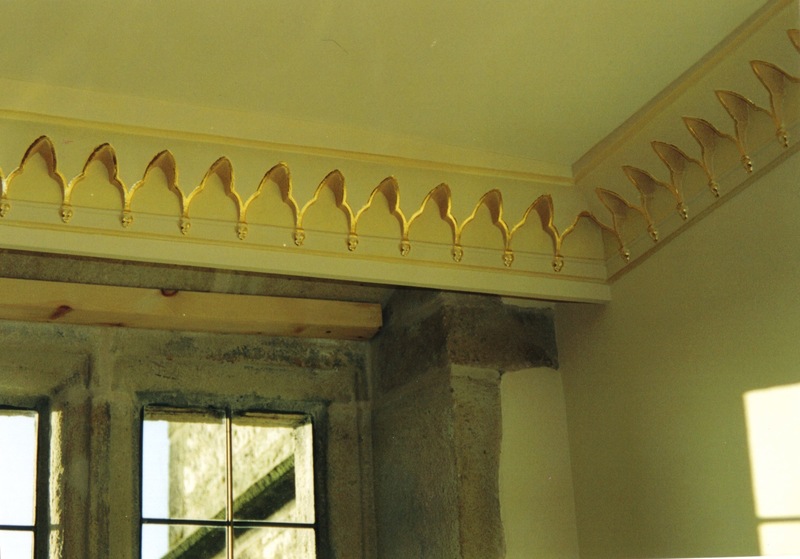 They can also give a period look to new or replacement mouldings and other architectural features. 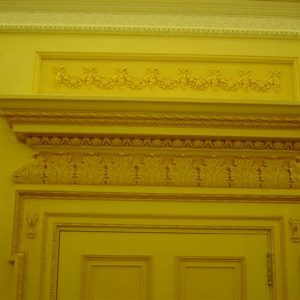 Marbling, wood graining, gilding, dragging, colour glazes, metallic effects, antique patinas, and other faux finishes are available for doors, window casements, fireplaces, panelling, skirting boards, banisters, furniture, and architectural ornament. 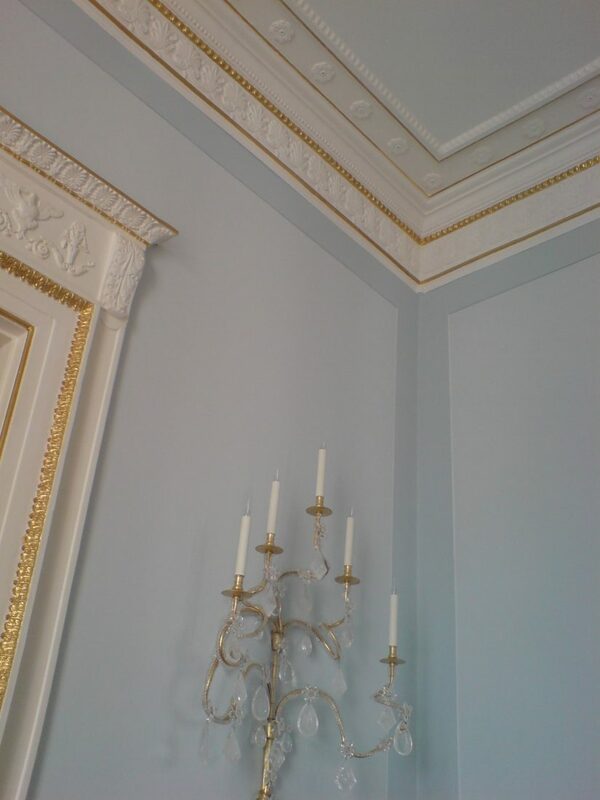 We are based in London and Sussex and work with interior designers, architects and private clients.